Many of you reading this article came from one of our top lead sources, LinkedIn. With an audience of more than 120 million users, LinkedIn may not be the biggest social network out there but for business-to-business marketers, it may be the best. 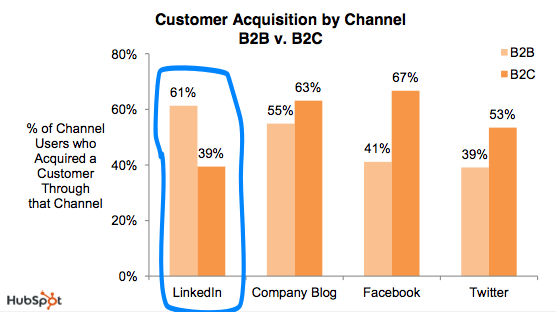 According to a 2011 LeadFormix Report, Why You Should Use LinkedIn for B2B Lead Generation, LinkedIn was the most effective social network at delivering leads to B2B websites. In their survey of 289 companies, 24% of all LinkedIn visitors were Enterprise visitors (translation: larger companies with a budget). Also, nearly 45% of the leads generated from LinkedIn were first time visitors. 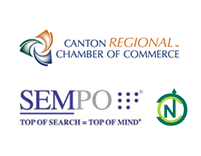 That means not only were these companies introduced to the service provider through LinkedIn, but that these visitors converted to sales leads on their FIRST VISIT. Which is relatively more efficient when you compare that to other marketing channels. What Separates LinkedIn from the Rest? When determining your social media networking approach for Facebook, Twitter and LinkedIn, it’s important to assess each for its unique benefits. 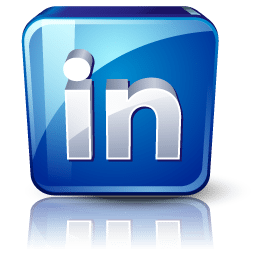 The key advantage for LinkedIn is that this social networking platform is comprised of business users seeking to expand and grow their business network. How Are Companies Using LinkedIn to Grow Their Business? For those who rely on inbound marketing, LinkedIn Answers and LinkedIn Groups present unique opportunities to position yourself as an expert in your industry. One of the key benefits of using LinkedIn for your business is gaining a better understanding of your prospective customer base . This can be done with the aid of a useful tool known as the advanced search option on LinkedIn Answers. By logging responses and insightful feedback in this forum, you can extend your network and establish a reputation a thought leader in your industry. At the same time, you’re learning what questions concern your target customers the most. Whereas regularly repurposing and distributing your content marketing efforts through LinkedIn Groups can draw qualified leads to your company’s website or blog. According to Lead Formix, 1 in 3 visitors from a LinkedIn Group, filled out a form on a website (converted). Further, these visitors were most likely to click on for webinar invites, whitepapers, and blog links. The bottom line is that millions of professionals use LinkedIn, and the advantages for B2B marketers are numerous. The Interest Group count alone is at the million mark. For these reasons, incorporating this social media platform into your marketing mix could be a huge opportunity for your business. → How Long Does It Take for a Content Marketing Strategy to ‘Work’?